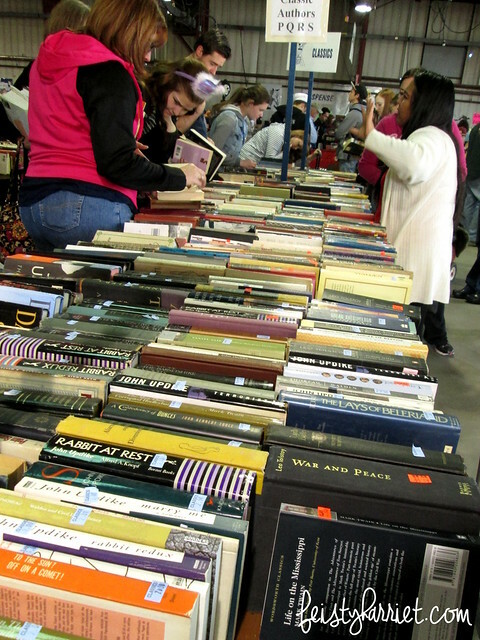 Every February there is an organization in Phoenix, Arizona that holds an enormous used book sale; 600,000 books are sold over the course of two days for a few dollars each and all proceeds go to literacy funds and such in the greater Phoenix metropolitan area. 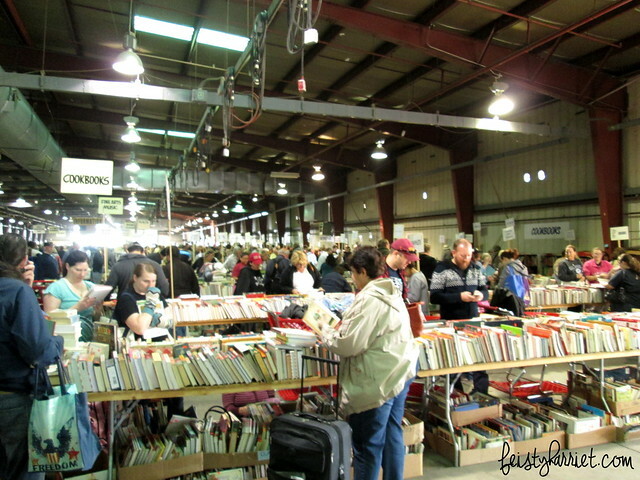 For the last decade or so I have made serious attempts to attend the book sale every year, with only a few misses. This sunny weekend escape in mid-winter is one of my particular favorites; the fact that I cart home grundles of books just makes it all the more fantastic. 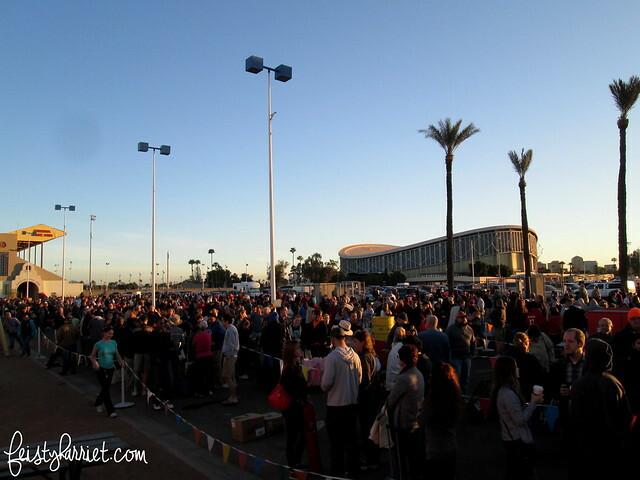 The sale is held at a large warehouse at the fairgrounds, and while the doors open at 8:00am it is really best to arrive the night before and sleep in line in the parking lot. By the time the doors open there are easily five or six thousand people in a Disneyland-type line that snakes back and forth a half-dozen time (see above). But, if you are at the beginning of that line, you have an incredible opportunity, see, Target donates shopping carts for the day, and if you are one of the first 150 people or so to get through the door you can nab one to carry all your treasures around the warehouse, tossing volumes into it willy-nilly and sorting it all out later. 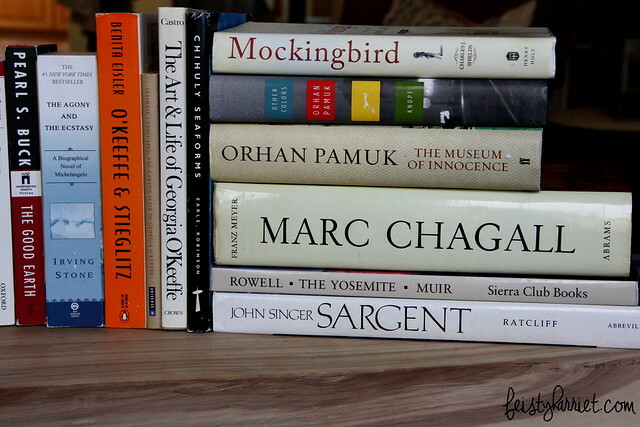 This is a far preferable situation than trying to haul books around in your arms, making decisions on the spot about whether or not to keep this or that, and having to cut your shopping short because you just don’t have any more strength to carry one more book, even a thin little paperback. No, it’s much better to grab anything interesting and make enormous piles in your shopping cart and then sit down in an out-of-the-way corner on a stack of dictionaries and spend a good half-hour deciding what to keep and what to have re-sorted. The wonder of modern air travel is you can usually take about 100 pounds of books home in your checked luggage for a nominal fee (or free, depending on your airline/status). The book sale also arranges shipping if you want to mail boxes of books to yourself. I have acquired the bulk of my book collection on my several trips to the book sale, and a pile of delightful weekend memories of hanging out in the parking lot with friends chatting about books and music and travel and whatever else. Blue Eyes goes with me now, sleeping in the parking lot in line with the most delightful (and nerdy, and quirky) group of bibliofiles. There are easily hundreds of tables packed and stacked like this one, organized by topic and then–generally–alphabetically by author. The treasures to be found, my friends, are incalculable!! Next year’s date is set for Saturday, Feb 14 and Sunday, Feb 15. What are YOU doing for Valentine’s Day!? And part 2. It was a small year for me, apparently. Check out VNSA’s website for all the pertinent info. I highly recommend spending the night before in the parking lot, it is far superior than trying to wake up at 3am to get a decent place in line. February in Arizona is pretty mild, you will want a hat and gloves, hoodie and jacket, but you won’t need winter camping gear or anything. I have backpacking gear (sleeping bag, air mattress) that is super compact and travels well, but many people simply bring a folding camp chair and get a few hours sleep on that. If you want to sleep, bring earplugs and an eye mask, the parking lot floodlights are on all night and many people are up and chatting and laughing and playing cards. 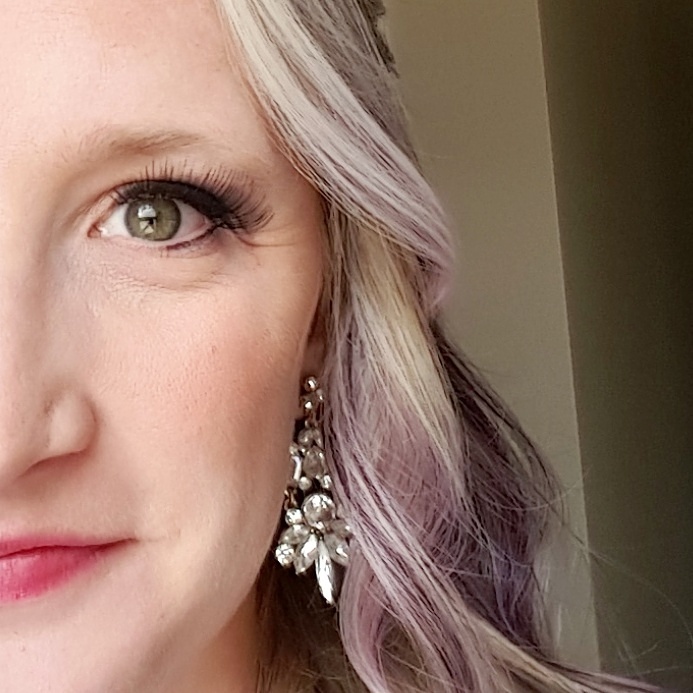 Bring your own breakfast foods, the fairgrounds have concessions–your typical fair foods–but unless you want a hot dog with your coffee you should bring a bagel or muffin, or something. They have nice bathrooms on site with flushing toilets and hot running water. 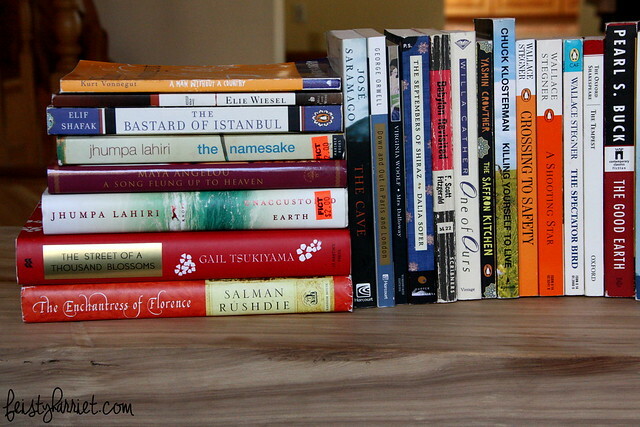 Bring a list of books you ALREADY OWN; this helps keep you from bringing home duplicates. Also helpful is a list of authors you would like to collect. If you are going to the 2015 sale let me know, we can meet up in line! This entry was posted in Bookaholic, Far Off Places by Feisty Harriet. Bookmark the permalink. Ooh, The Good Earth. I really need to re-read that. My wife has a first edition (minus the dust jacket, sadly) that I really want to sink my teeth into. I always LOVE reading your recap of the book sale.